The most important thing children should develop in their early years is belief in themselves and their world. Our program strives to reinforce the confidence and trust of children in themselves and the people they meet in an environment away from home. “A healthy self concept” is an immeasurableand vaguely defined goal, but that does not lessen its importance. Respect for the child as he or she is and for what he or she wishes to become precedes all learning and is intrinsically entwined in it. Warm and loving relationships come first and are the basis for all the learning experiences that the program tries to provide. We believe each child needs to recognize his or her individuality as valuable and unique. 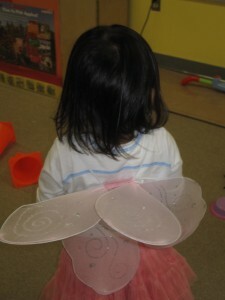 Confidence and trust in this individuality should be reinforced within both the family and the preschool environment. We are committed to helping each child develop a sense of self worth, a respect for his or her needs and rights as an individual as well as for the needs and rights of others. We provide guidance and encouragement to each child with a healthy, supportive, and accepting atmosphere, one that cultivates enthusiasm and discovery. We try to stimulate within each child the desire to learn, to observe and to explore, in order to gain an understanding of the world. 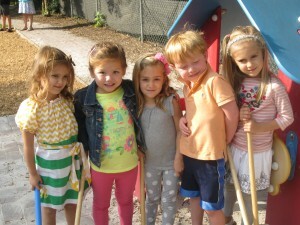 We provide first hand experience and activities appropriate to each child’s interest and developmental level. We hope to foster positive attitudes toward the school experience and lay an educational foundation that will adapt to primary schooling. We believe children need to explore the world, observing, examining and questioning things previously unknown, dealing with tangibles before attempting to learn symbols. Each child is encouraged to develop his or her own interests and explore his or her own ideas in an atmosphere where there is a freedom to learn. We encourage meaningful communication and imaginative self expression. Through story telling, reading, circle conversation, sharing and dramatic play, and individual c onversation with peers, teachers, participating parents and visitors, our program contributes to the child’s development of listening and speaking skills, critical and creative thinking, visual and auditory skills and hand-eye coordination. Other language arts objectives are the fostering of an appreciation of the spoken and written word, of the joys of good literature, and of a rich vocabulary. Our program attempts to help each child develop the skills and understanding needed for quantitative thinking and to make the transition from perception to problem solving. By the time each child has completed the Pre-K program our goals in mathematics are to establish the meaning of number concepts through actual usage, to help each child learn to organize things into groups, count in sequence and recognize the numerals from 1 to 20, and to understand the use of shapes, patterns, measurements and designs in concrete and representational form. 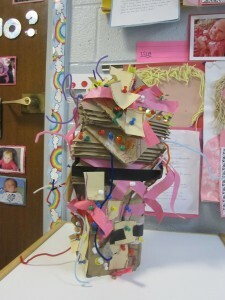 Children are also encouraged to express their thoughts, ideas and feelings through the use of art materials. They paint with brushes, sponges, string and fingers. They also use crayons, glue, scissors, chalk, clay, and much more. In these activities a child will explore the use of materials and develop confidence in the creative process. Each child will also learn to recognize colors, shapes, line, form, texture and design, and to develop the small motor skills needed for writing and drawing. A special session each week for music and rhythms, taught by a music specialist, provides the children with an opportunity to respond to ideas and feelings expressed through music. We strive to help each child learn to control and enjoy his/her body, to learn and use safety concepts, develop motor skills and a sense of spatial awareness, balance and coordination. Weekly fitness and sports sessions are included in the program November through March by Jump Bunch. Outdoor activity on playgrounds with climbing apparatus, swings and riding toys is scheduled each day. Teachers work together in teams, meeting monthly to plan curriculum and special events. This helps ensure that each class is exposed to the same concepts and ideas, although the approach in individual classrooms varies because of the differences in class dynamics, maturity levels of students and individual teacher preference. The Pre-K classes rotate between their classrooms once a month from January on to receive lessons in language arts, science and math. 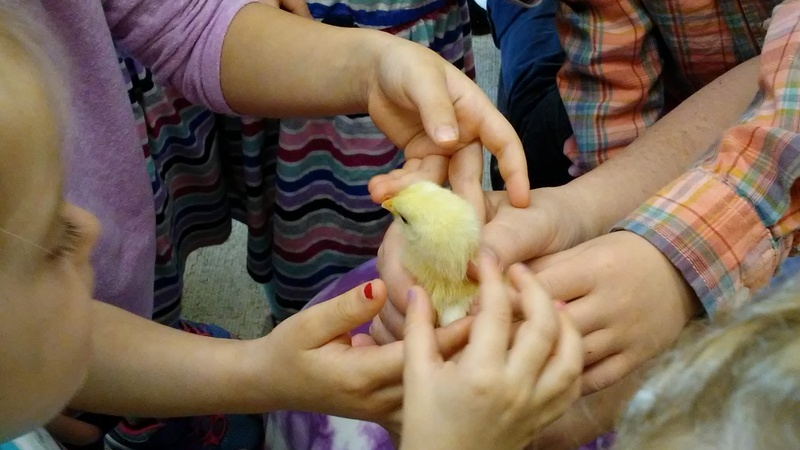 In this way, each child benefits from the expertise of each teacher and classroom set-up. This also prepares children for the kindergarten day where they will have several different teachers and classroom environments. The Pre-K classes have weekly French lessons from Mrs. Khenissi, the assistant in one of the classes. The Pre-K classes also participate monthly in a community service project from January on – making sandwiches for the needy. The Preschool also uses the “Handwriting Without Tears” method for developing children’s coloring, drawing, counting and handwriting readiness. The method can be viewed at www.hwtears.com. Individual parent teacher conferences are held during the year at which time classroom activities and the progress of each child is discussed. At other times, parents are encouraged to discuss any concerns they may have with their child’s teacher and/or with the Director.